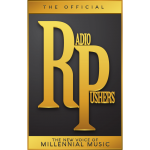 Welcome to the RAIRADIO/ RADIOPUSHERSTV / NEWHYPEBEAST MEDIA GROUP MILLENNIAL COMMUNITY! Below are your station links & airtimes! The main focus is sharing your station link with your Facebook, Twitter, Instagram fans & etc. Your fans simply “CLICK” the links below and request your track. Promote these links on your Facebook, Instagram, Twitter, and all other social media platforms. Your fans don’t need to sign up for anything and we never ask for their personal information. SIMPLE, SIMPLE, SIMPLE!